The Joseph Priestley Zen Community brings the practice of the Soto School of Zen to the Susquehana Valley. Join us in the search for our true nature. 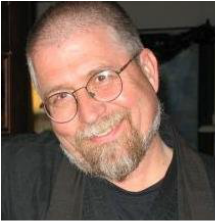 We are led by the Rev.Edward Keido Sanshin Oberholtzer, a Soto Zen priest and a student of James Ishmael Ford, Roshi. Edward is a member of Boundless Way Zen, and has practiced Zen for the past eighteen years. He is authorized as a senior dharma teacher to meet with practitioners in dokusan.